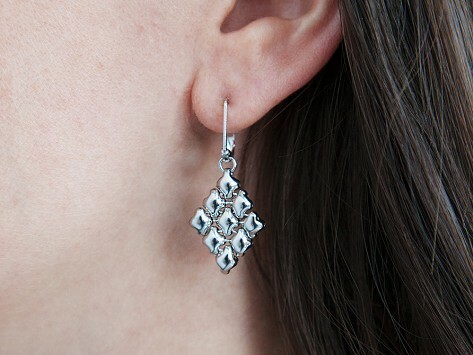 Intricately soldered and crafted diamond shape mesh earrings by Sergio Gutierrez. Dimensions: 3.5" x 1.25" x 0.25"
I bought these for my daughter for Christmas. She loves them and especially how unusual they are and the way they "move."